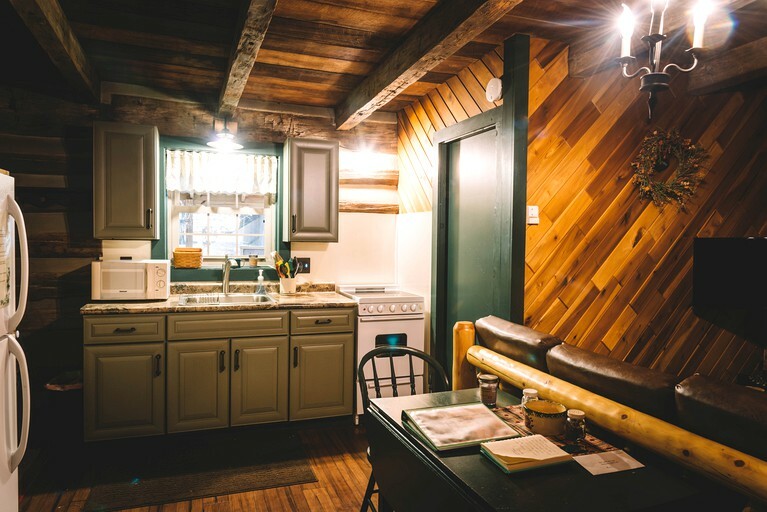 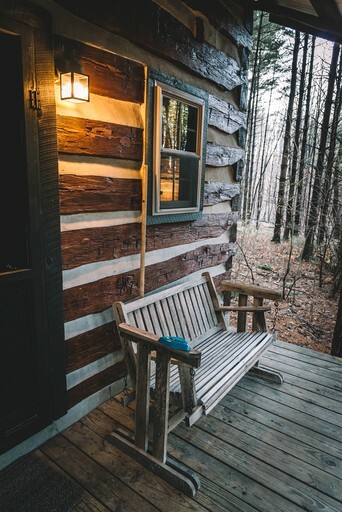 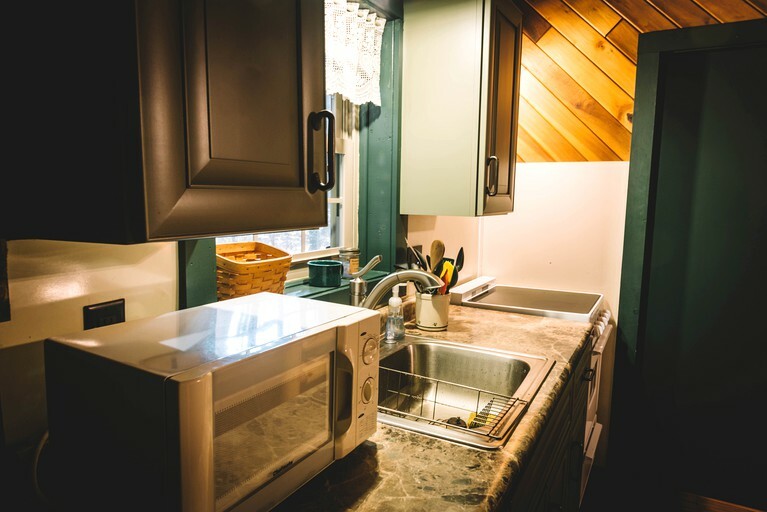 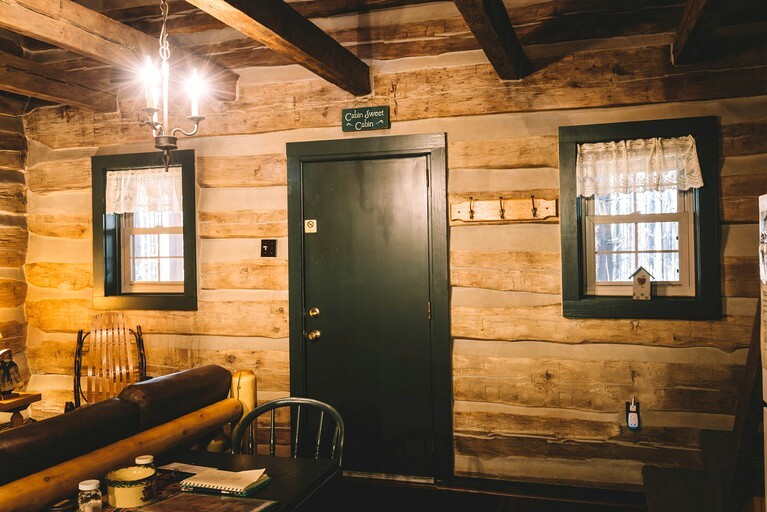 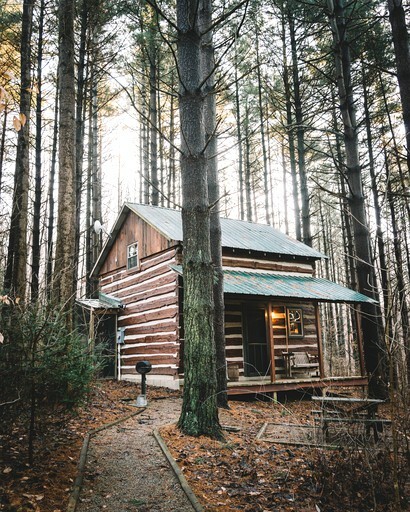 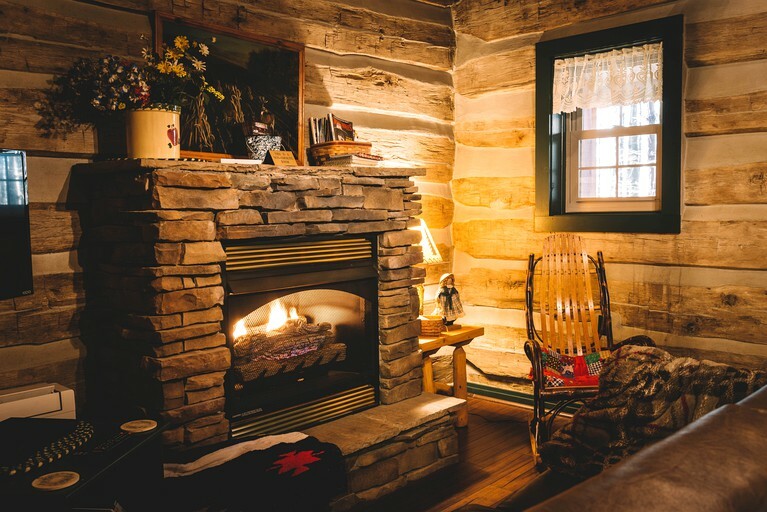 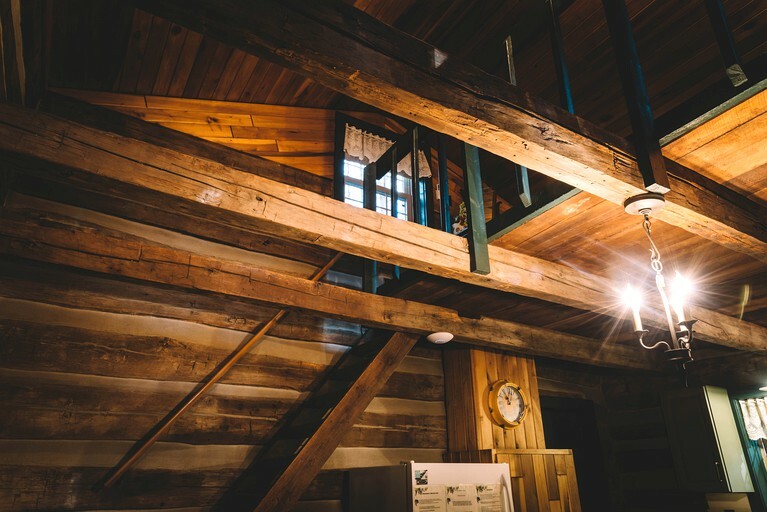 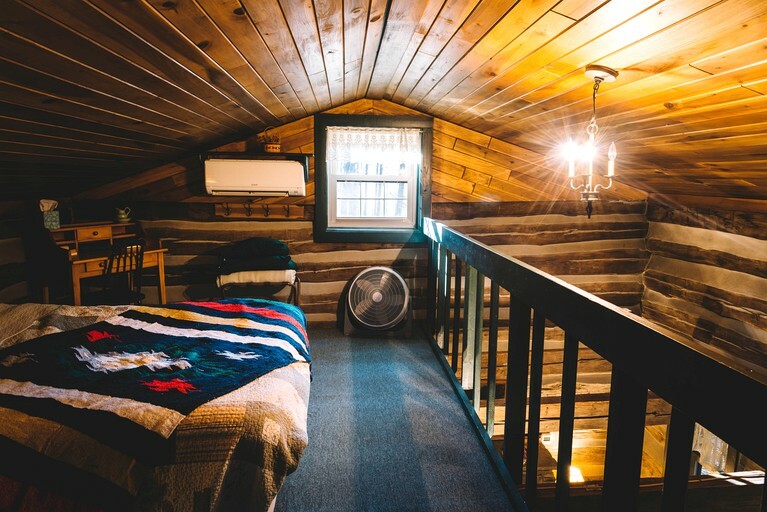 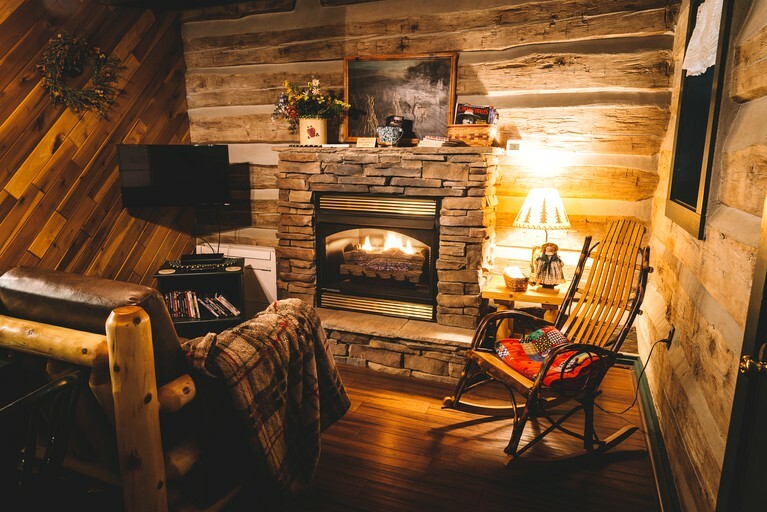 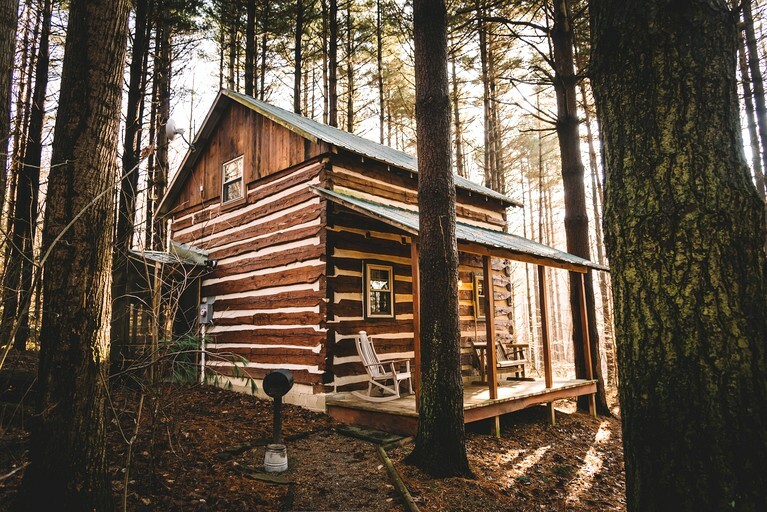 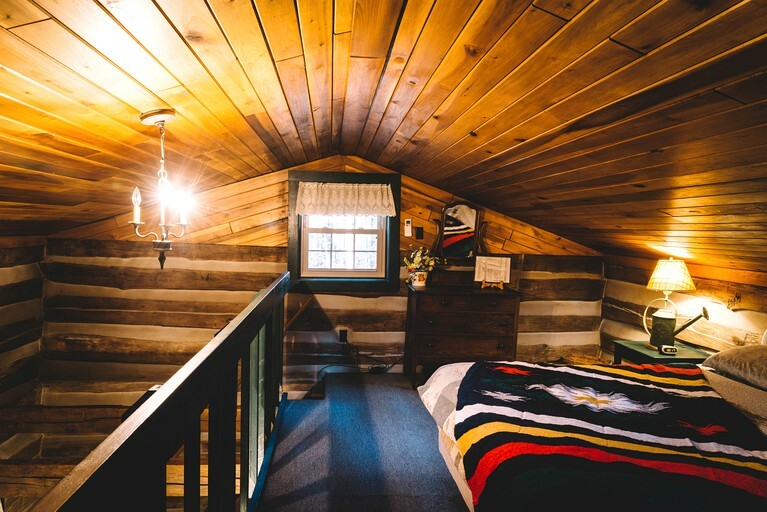 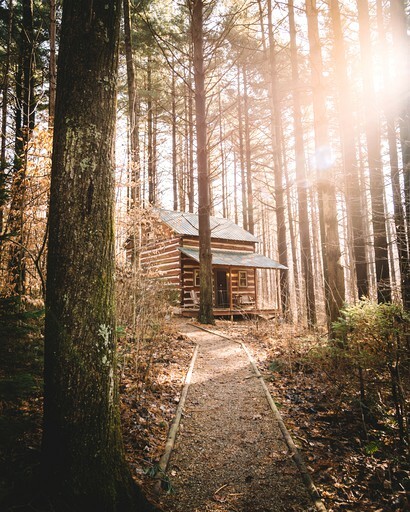 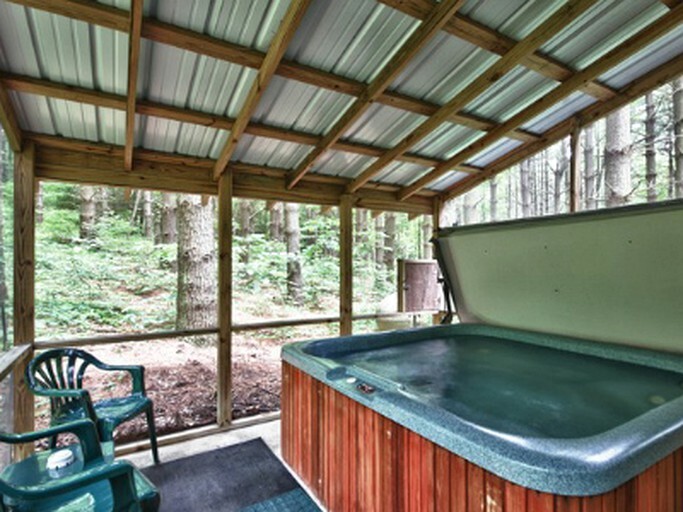 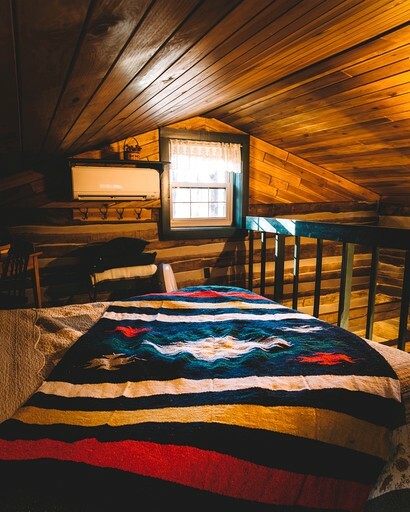 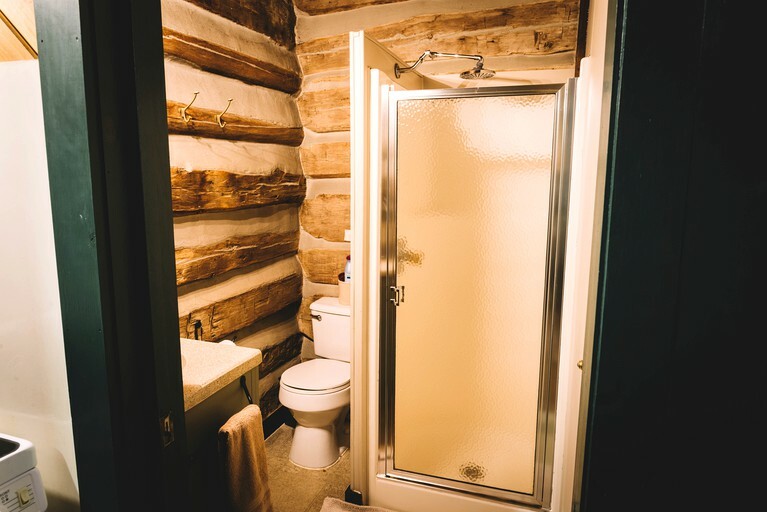 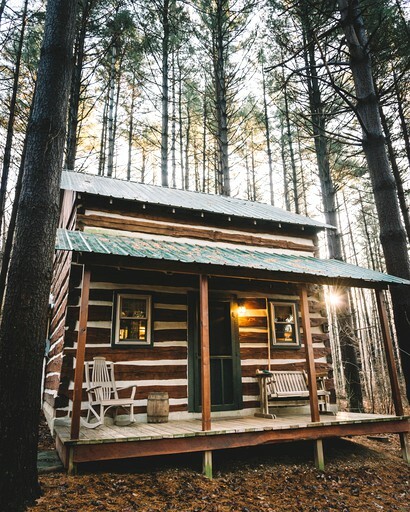 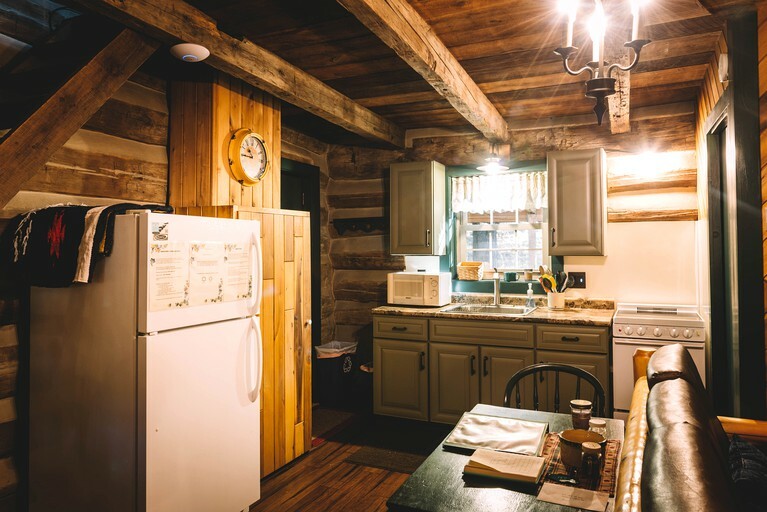 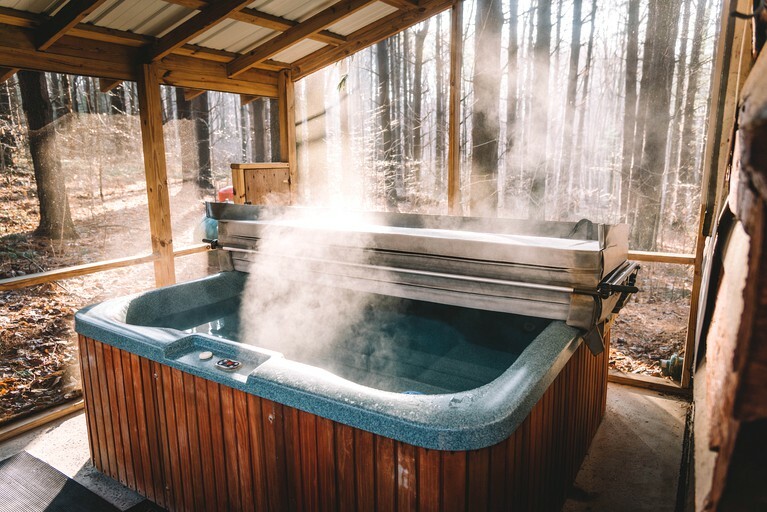 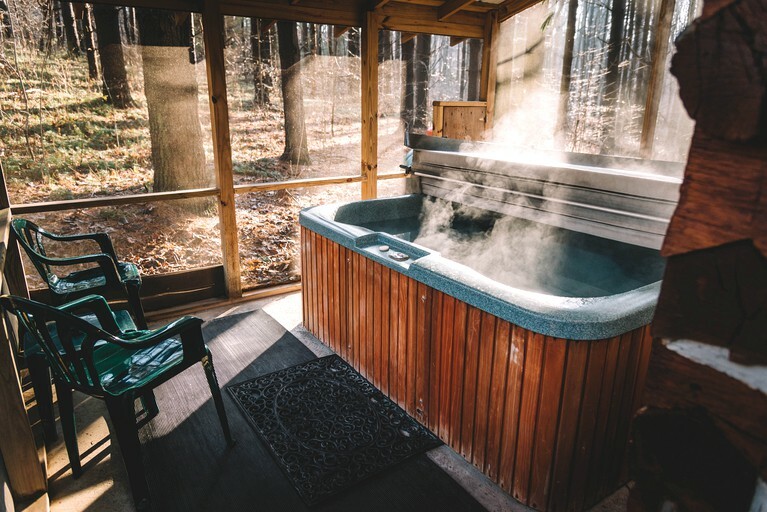 Nestled in a pine forest of Hocking Hills, Ohio, this cozy cabin is a perfect romantic retreat for couples who want some alone time in peace and quiet. 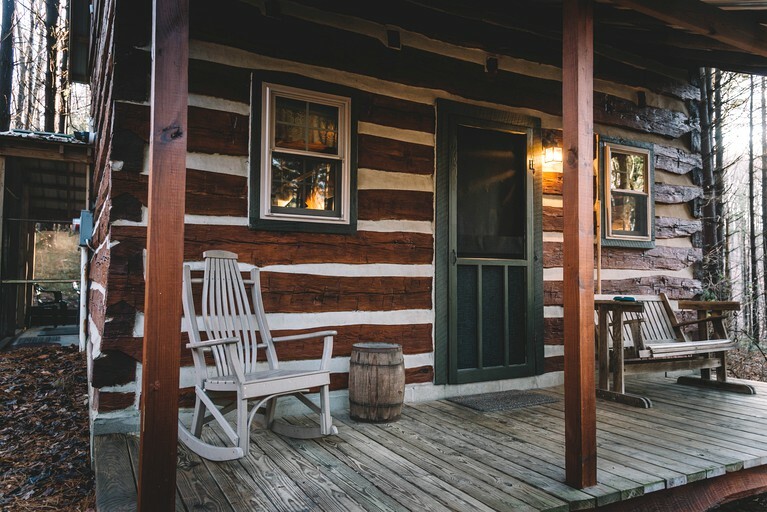 Guests will have their own sanctuary in the middle of nature that features a living room, one bathroom, a dining area and a fully-equipped kitchen. 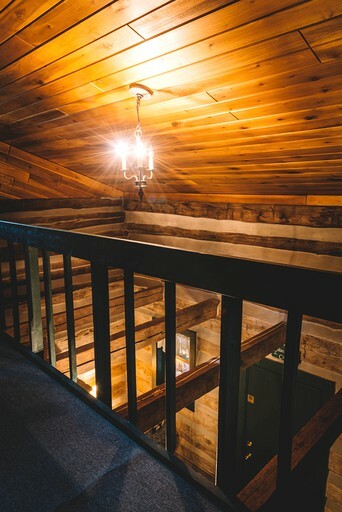 The loft features a queen-size bed. 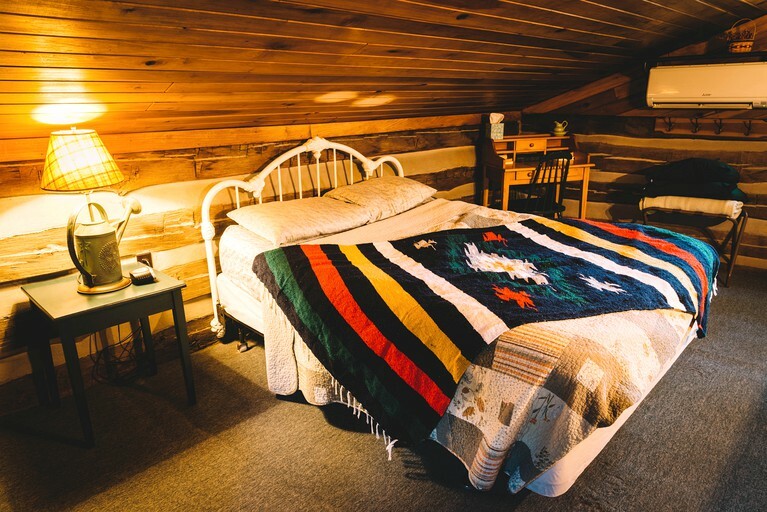 Linens, blankets, and pillows are provided.